All dogs must be fully vaccinated with either a 3 in 1 or 5 in 1 vaccination. We require the Kennel Cough Vaccination to have at least 4 full months left to run at time of check-in. A certificate from your vet verifying all vaccinations are current, type of vaccination given, date given and next due date is required at time of check-in. If your dog’s core vaccinations have expired (for Parvo, Hepatitis, Distemper and Parainfluenza) there is a 10 day stand down period from the date the new vaccination was given. If your dog’s Kennel Cough vaccination needs to be renewed (either due to expiry or to meet our Kennel Cough Vaccination Policy) there is a 10 day stand down period from the date the new vaccination was given. All cats must be fully vaccinated with a triple vaccination. A certificate from your vet verifying that the vaccination is current, type of vaccination given, date given and next due date is required at time of check-in. There is a 10 day stand down period from the date the new vaccination was given. TO PROTECT ALL DOGS AND CATS IN OUR CARE, WE WILL NOT ACCEPT ANY ANIMALS FOR BOARDING UNLESS A CERTIFICATE IS PRESENTED ON ARRIVAL. Please LEAVE YOUR DOGS IN THE CAR ON ARRIVAL until we have checked your vaccination certificates. Please make sure your dog or cat has been wormed within the last 3 weeks or no later than 2 days prior to boarding with a broad spectrum wormer. Please ensure your dog or cat has been treated for and is free from fleas. If we need to treat your dog or cat for fleas we will also need to charge you for this. 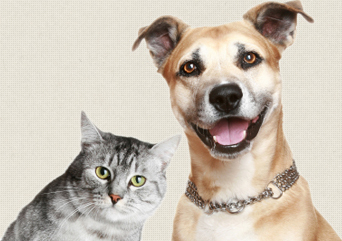 Should any dog or cat require veterinary care all relative costs will be met by the pet owner. Our aim is to provide an environment that is as stress-free as possible for all dogs staying with us. For this reason we ask that you let us know if your dogs are due to come into season (or were in season just prior to their stay). There may be some times during the year that we are unable to accommodate any dogs on heat/due to come on heat and just finished a heat. If your dog comes on heat during their stay with us and we weren’t advised there may be a surcharge for your dog. We reserve the right to make suitable arrangements for any dog or cat left in our care if contact is not made by the owner or their agent by 14 days after the agreed collection date. A fee for repair (or replacement if a repair is not possible) will be charged for any damage caused by a dog or cat. Clients will be charged for all days booked during peak holiday periods, including unused days and late cancellations. Peak periods may require a nonrefundable deposit to be paid. We consider our facility and management practices to be of the highest standards, therefore the very best professional care and expertise will be given to your dog and cat whilst staying with us. However, we accept no responsibility for illness, injury, death or loss for any reason whatsoever. Thank you for trusting us to care for your dogs and cats.